Day Filled with Activities while Traveling Between Two Destinations! 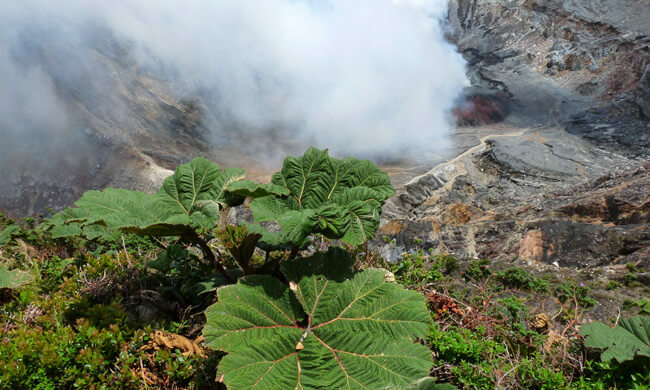 Please note: The Poas Volcano National Park is temporarily closed and the logistics of this Adventure Connection has changed. The Poas Volcano visit has been replaced with one to the Arenal Volcano National Park. Once the Poas Volcano is reopened, the Arenal Volcano National Park visit will no longer be included. Make your way across the country while trying out exciting new activities along the way! Adventure Connections are the best way to travel between San Jose and Arenal, while enjoying some great sights. This one features three Costa Rican highlights: visits to La Paz Waterfall Gardens, a well-known coffee farm and a hike through Arenal Volcano National Park. Our transfer will pick you up at your hotel in San Jose for a scenic drive that passes by the Poas Volcano and the famous La Paz Waterfall. There, you may take a small break and stretch your legs. Cross the bridge, admire the place’s lush tropical rainforest and its wildlife and take some pictures! Once your break is over, you’ll take a 45-minute drive to a coffee plantation. The coffee farm visit includes a demonstration of the production, harvesting, processing, and roasting of Costa Rica’s most famous export. You’ll enjoy a cup at the end of the tour, along with a delicious lunch. You may even take some home to give it as presents or keep it all to yourself! The final highlight on this transfer is a 1.5-hour hike at the Arenal Volcano National Park. Experience a once-in-a-lifetime volcano sunset (around 5:30PM) before checking in your hotel at La Fortuna. Your tour includes: pick-up at your hotel in San Jose, bilingual guide, entrance to the La Paz Waterfall Gardens, the Mi Cafecito coffee tour, lunch, entrance to the Arenal Volcano National Park and hike, drop-off at your hotel in Arenal volcano area. A combo including a visit to the coffee plantation and La Paz Waterfall is available as a day tour from San Jose. It is also available as a shorter transfer tour, with pick-up from the San Jose airport or hotels in San Jose. What to bring: Bug repellent, camera, binoculars, sunglasses, camera, long pants, tennis shoes, sunscreen, short-sleeve shirt, jacket/sweater.